If you have ever organised a Leeds children’s party, you’ll know that it can be both expensive and stressful to plan the day – how will you keep the kids entertained and make sure no-one gets bored? How can you make your child’s party extra-special and the talk of the classroom?! Why not call in the experts at Pamper Me Girls. Our Pamper Crew have years of experience in providing pampering parties for kids – including birthdays, mums and daughters pampering and even providing entertainment at your wedding or special event to keep the kids busy. The best place to start is by browsing the Pamper Party Packages. Here you can get an idea of the sort of party that will suit your group of children. For age 4+, the Pamper Princess or Fairy party is a winner. However, this simply won’t be ‘cool’ enough for the older girls and teenagers! They might choose the Spa Party, Glitz and Glam Party or Slumber Party. Each party is different, and can be tailored to your needs. Call or email Pamper Me Girls to talk through your party requirements. You can read about our pamper party packages and optional extras on our website. Once you have booked your pamper party, we’ll send out themed invitations so you can let the guests know what to expect! You’ll also need to provide food and drinks for the party. Our Pamper Crew’s aim is to keep the children entertained with pampering, games, makeovers and crafts. We can bring along our chocolate fountain or alcohol-free cocktails, but any other food and drinks are up to you. Our Pamper Crew will turn up on the day of the party, ready to make sure everyone has a great time! We will bring along the required equipment, which varies according to the children’s party package you have chosen. This could include pampering gowns and headbands, make up and nail varnish, dressing up clothes or crafts activities. If you are not sure what activities your party includes, please do not hesitate to ask! We’ll supervise the kids, but we do ask that at least one other adult is present at the party. For larger parties with lots of young children, it may be necessary for other grown-ups to be around too. We can discuss this at the time of booking. We are experts at making sure all of the children feel included in the party, and no-one gets left out or bored. From chocolate fountains to limo rides, girly magazines to professional photoshoots and a red carpet, our pamper party extras are there to make your party extra-special! Sit back and relax – let Pamper Me Girls take care of your children’s party planning worries. We’ll make sure everyone loves your children’s party! The ever-popular Pamper Princess party is perfect for those girls who love fairytales and dressing up. Everyone wants to be a princess for the day, and this is the children’s birthday party that can make it happen for your daughter and her friends. 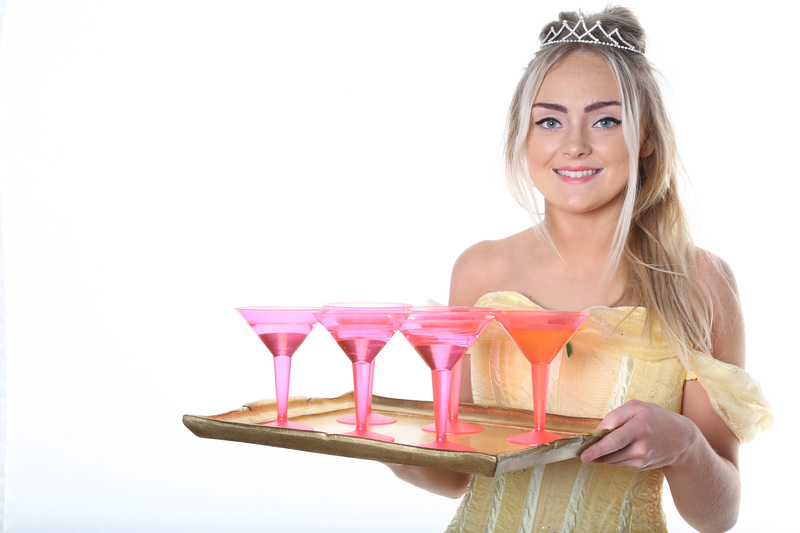 The Pamper Princess party is available throughout Leeds and Yorkshire. If you live further afield, please contact Pamper Me Girls to see if we can help! The party planning starts with our themed party invitations, which are free with the Pamper Princess Party package. 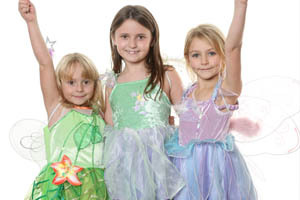 You could ask the girls to turn up wearing their favourite princess outfits, or we can bring the Pamper Me Girls magical dressing up box, full of princess and fairy costumes, tiaras and wands for the girls to try. The birthday girl will receive a special birthday tiara and sash to keep, making her feel like the belle of the ball! Once the girls are ready in their outfits, the pampering transformation can begin, turning the girls into real princesses! Do not worry, our pamper parties are always age-appropriate. Every guest receives a glitter princess manicure, glitter make up, glitter hairspray and a bag of fairy dust. If your girl loves everything that sparkles, this is the party for her! You could have a guest appearance from a ‘real’ princess! We have lots of experience with organising children’s parties, and we know how to keep all the girls entertained during the party. We organise princess-themed party games, music and dancing – with the all-important little prizes for the winners. All you will need to take care of is the food and drinks, you can leave the rest to the Pamper Crew. Why not make your party extra-special and memorable by ordering some optional extras? There are lots of extras to choose from to truly personalise your party. See the girls’ eyes light up when a ‘real’ princess of their choice makes a special appearance! Other extras include party bags, a craft table and the ever-popular chocolate fountain (warning – it will get messy but they will love it!). This party can also be adapted to a Fairy Theme! To talk about your child’s upcoming birthday, call Pamper Me Girls on 0113 264 0167 or email girls@pampermeuk.com. We’ll be delighted to help you plan a Princess Party to remember!